Before getting to the substance of this review, it is important to note that most musicians who would fall into the category into which Fourplay’s music may be placed tend to dislike the labels “contemporary jazz” and “smooth jazz.” This has been declared by many musicians, including Jeff Kashiwa, saxophonist for The Rippingtons. 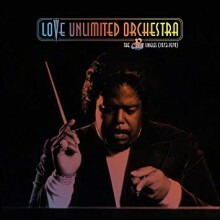 In turn, some have attempted to create their own more idiosyncratic labels for the genre, with many settling on the term “groove jazz” as appropriate nomenclature. Taking their lead, I will use the term “groove jazz” throughout this review. If you are a fan of today’s groove jazz, and you have never heard of Fourplay, you are missing out on one of the subgenre’s best groups. 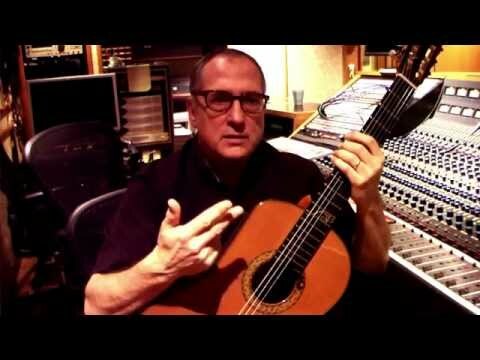 Fourplay was founded in 1990 by Bob James (who is perhaps best known for “Angela,” the theme to the television show Taxi, or as being one of the jazz musicians who is most frequently sampled by hip hop artists). James rekindled his association with drummer Harvey Mason, an in-demand “hired gun” studio musician who had played with some big stars, including Herbie Hancock and Barbra Streisand. James and Mason rounded out the quartet by adding guitarist Lee Ritenour and Nathan East on bass. After recording three albums, Ritenour left the group in order to pursue other projects, being replaced by Larry Carlton, of Steely Dan fame. Carlton stayed with Fourplay for 12 years, before rekindling his solo career in 2010. When he left,the band hired the virtuoso guitarist Chuck Loeb, whose outstanding resume includes playing with prolific multi-instrumentalist Brian Culbertson and jazz-fusion band Steps Ahead. As an entity, Fourplay has existed for twenty-five years. To celebrate this milestone, the band released Silver, a nod to their silver anniversary as a group. I have been a fan of Fourplay from the start and I can easily say this album is the best they have yet released. A special treat for longtime followers like myself are Ritenour and Carlton’s guest appearances. Silver is an emotional ride, with each tune (with the exception of one) featuring a name that references the titular precious metal. The opening cut, “Quicksilver,” sets the tone for the album. With East’s signature bass lines, Loeb’s distinct guitar sound and sinuous playing, and James’s steady piano comping, Silver is off and running. It is difficult not to smile and move to this infectious groove. The third track, “Sterling,” begins with haunting bass and muted guitar which then warms as keys and drums enter and the tune continues. The combination of James’s piano and Loeb’s guitar on top of the rhythmic foundation that East and Mason lay down will make listeners want to sit in front of a warm fire on a winter night with their special someone. “A Silver Lining” conjures a smoky jazz club, with East alternating between an acoustic bass and his Yamaha electric ,while Loeb and James are fully unplugged. The cut may evoke a simpler time for listeners through its subdued aesthetic. 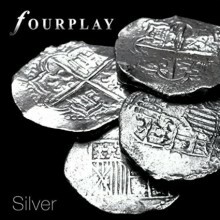 Following is “Silverado,” penned by Loeb and Carlton, which serves as a reminder of Fourplay’s enduring versatility. It picks up the pace after the previous track’s muted tone, and features masterful orchestration among the band-plus-one. “Silverado” also spotlights the skillful interplay between Loeb and Carlton’s guitars, giving the duo a chance to showcase their formidable chops. The last song on this album is “Windmill.” Composed by Harvey Mason and Lee Ritenour, this is an ideal choice for the album’s finale. It is slow and melodic, but still grooves, encapsulating the signature silky-smooth elements of the group’s sound over the past two and a half decades. Ritenour and Carlton’s guest appearances suggest that the band will welcome its distinguished alumni any time they wish to sit in, showcasing the enduring personal and musical relationships among this tight-knit group of musicians. Most people listen to groove jazz simply for unobtrusive background noise. Silver, however, transcends background music, with each song engaging listeners from start to finish. If you are new to the subgenre, it would be wise to start your collection with this ten song album from one of the best groove bands still working today. Happy 25th Anniversary, Fourplay. Here’s to another quarter century!